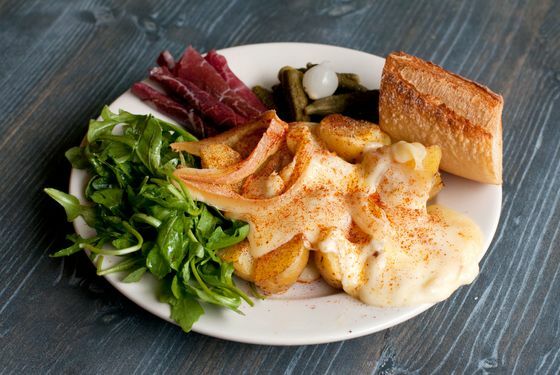 Traditionally, the Swiss dish raclette was made by melting cheese over a roaring wood fire, ideally one located within some cozy mountain chalet. Presumably having realized the logistics involved in melting cheeses over wood fires inside eight-seat Alphabet City storefronts were prohibitively complex, Edgar Villongco, the chef-owner of this terrific, two-month-old café, opted for an alternative. His electric countertop cheese-melter may look like something you’d lock a two-by-four into to facilitate sawing, but it gets the job done. How does it work? 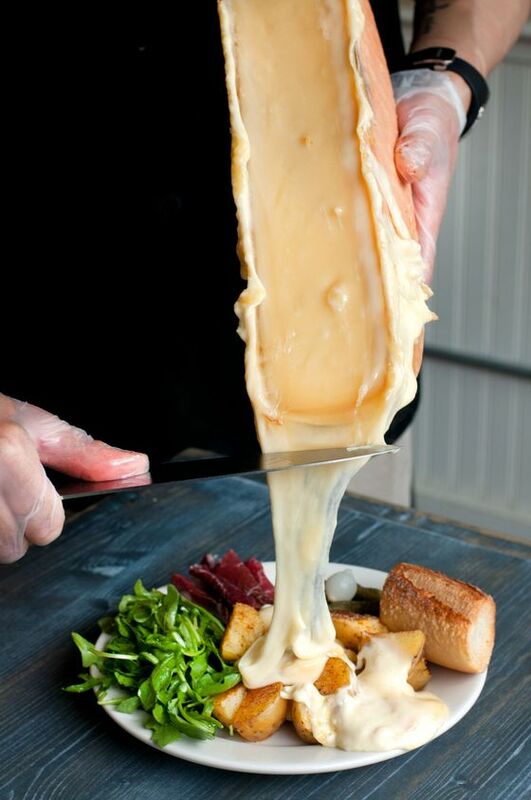 A half-wheel of raclette (the Swiss cheese after which both the dish and the shop are named) is propped on its side and strapped into the device, its surface exposed to a heating rod that melts and bubbles the cut end from above like a Corner Bistro cheeseburger. When the tanning-booth session is complete, and the top layer of fromage is lightly browned and suitably gooey, it’s scraped off with a wide knife over a plate of roast potatoes accompanied by pickled onions, cornichons, and a light arugula salad. The result ($10) is superbly hearty and soothing and fairly transporting, like an alpine getaway on Avenue A. 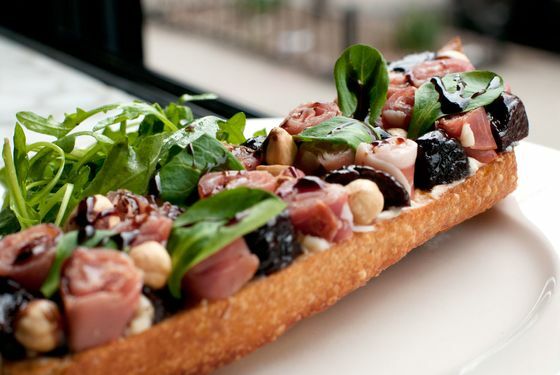 There are some other delicious things to eat at Raclette besides raclette. 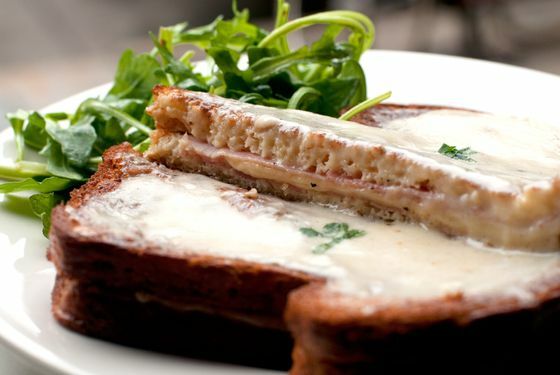 An unassuming and deceptively light-seeming croque monsieur ($9) is almost too rich to finish. 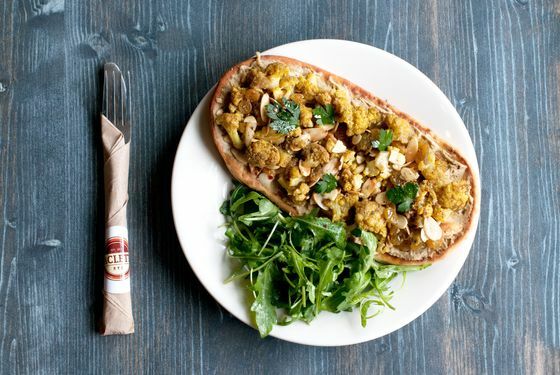 A tartine of sardines with tapenade on toasted sourdough ($9) is spectacular, smothered with sliced fennel and fresh herbs. And a toasted assemblage of strawberry-tarragon preserves, dark chocolate, and fromage blanc ($9) will appeal to aficionados of Nutella pizzas, s’mores calzones, and oozy, bready, melted-chocolate things in general. One crucial thing Raclette does not have at the moment: a beer and wine license, which, as any raclette connoisseur knows, in compulsory in the enjoyment of the dish, as the cheese is said to congeal in the stomach when consumed with water. So BYO nice dry Riesling or, even better, a Swiss Fendant to cut through the richness. 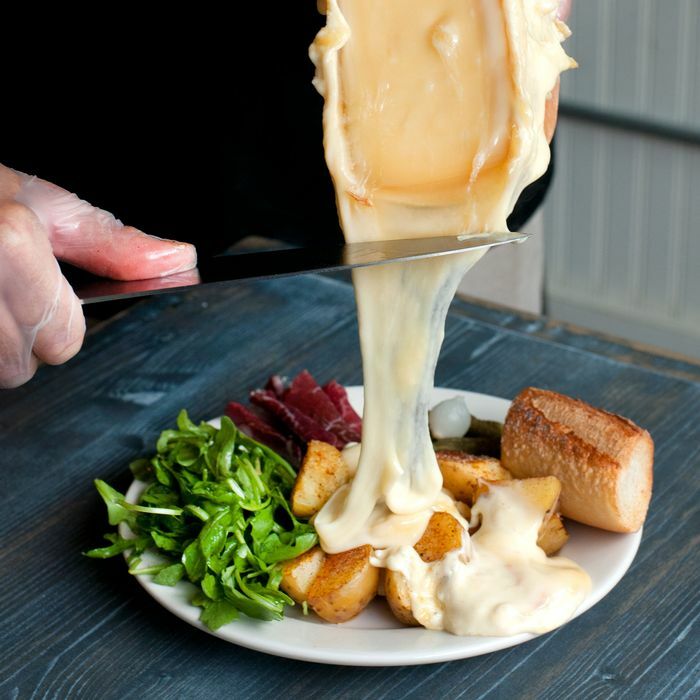 To do otherwise is to risk the dreaded raclette bloat, a fate even worse than fondue-fork-fatigue syndrome.